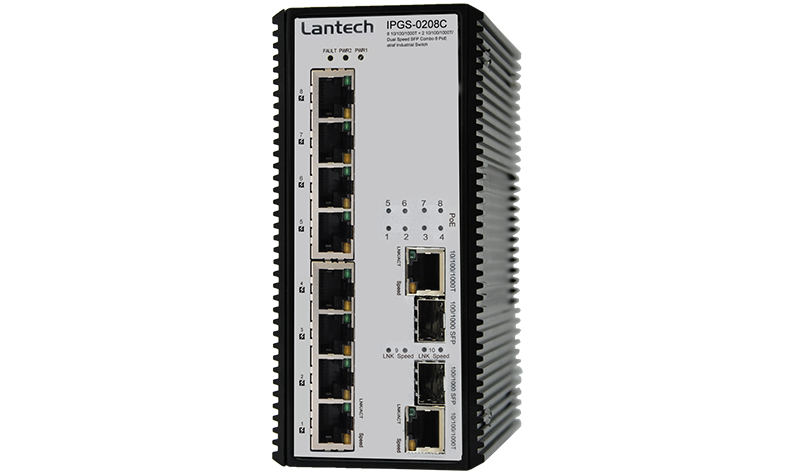 Lantech IPGS-0208C is a high performance all Gigabit switch with 8 10/100/1000T + 2x 10/100/1000T/Dual speed SFP combo w/8 PoE 802.3af/at Injectors. 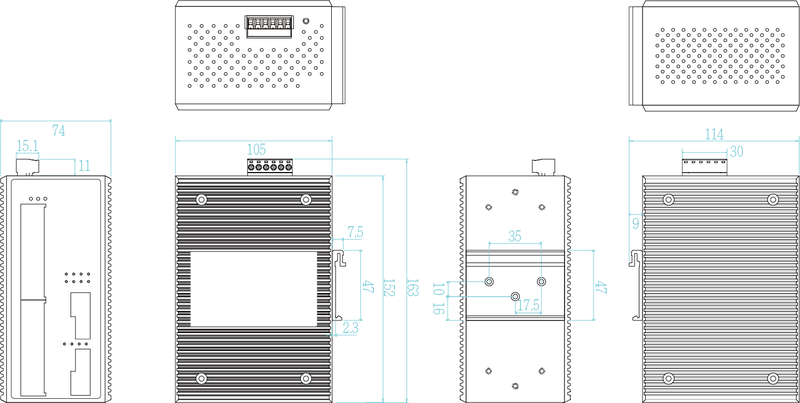 Equipped with DC 12~48V redundant input power, the Lantech IPGS-0208C-12V is able to boost input voltage from 12V to 48V then feed each PoE port up to 15.4Watts/30Watts with total PoE power budget 80W at 12V, 120W at 24V input or 240W at 48V input. Lantech IPGS-0208C provides ±2000V EFT/SURGE and ±4000 VDC (Contact) / ±8000 VDC (Air) Ethernet ESD protection, which can reduce unstable situation caused by power line and Ethernet. It has high reliability and robustness coping with extensive EMI/RFI phenomenon, environmental vibration and shocks usually found in Automation, transportation, surveillance, Wireless backhaul, Semi-conductor factory and assembly lines. It is the most suitable PoE switch for bus, carriage, other vehicles and industrial areas where the power source is limited with 12V or 24V but has demand of IP surveillance or VoIP applications.